April 3, 2006 -- 4:00 p.m.
April 4, 2006 -- 4:00 p.m.
April 3, 2006 --4:00 p.m. Latent variables, uncertainty and evidence. In many areas of science, our models involve latent variables which cannot be observed. Often these variables are such that, were we able to observe, them the testing of scientific hypotheses would be straightforward. A classical example is that of Bernoulli trials (tosses of a fair coin) observed with error. While every student knows how to construct a test that the coin is fair, how should uncertainty in observation be taken into account? Recently, the notions of fuzzy p-values and confidence levels have been introduced into the statistics literature as a way to describe the uncertainty inherent in a randomized test. In latent variable problems, the natural definition of a fuzzy p-value is the distribution, given observed data, of that function of latent variables that would be the p-value were the latent variables observed. This notion puts our uncertainty directly onto the p-value scale, and permits simultaneous expression of the strength of the evidence and our uncertainty. Several simple examples that show both the flexibility and the usefulness of the approach will be discussed. These examples require no more than knowledge of the binomial distribution and the classical p-value, yet are sufficient to show how the approach provides a new approach to uncertainty in broad areas of scientific inference. April 4, 2006 --4:00 p.m. It has long been recognized that genetic analysis would be simple if we could observe directly the inheritance of genome from parents to offspring. However, in human genetic analyses, this inheritance is often uncertain, even at highly polymorphic and well sampled genome positions. While Monte Carlo methods in general, and Markov chain Monte Carlo in particular, permit imputation of latent variables of scientific interest, simple integration over imputations loses information regarding our uncertainty. As discussed in the first lecture, fuzzy p-values describe the uncertainty inherent in a randomized test. Using this idea, and taking as our latent variables the unobservable patterns of inheritance in pedigrees, we apply this idea to show how fuzzy p-values can summarize both the strength of evidence for linkage and the uncertainty about that evidence. The approach also provides a solution to the long-standing problem of providing a global significance level for the multiple dependent tests performed in testing for linkage. We show how realizations from the fuzzy p-value distribution may be obtained efficiently with only two sets of Monte Carlo realizations, one from the unconditional distribution of latent inheritance patterns, and the other conditional on observed marker data. No resimulation of marker data is required, and the procedure, being conditional of the observed marker data, shares with permutation-based tests a partial robustness to the genetic map and assumed allele frequencies of the markers. Elizabeth Thompson received a B.A. in Mathematics (1970), a Diploma in Mathematical Statistics (1971), and Ph.D. in Statistics (1974), from Cambridge University, UK. In 1974-5 she was a NATO/SRC postdoc in the Department of Genetics, Stanford University. 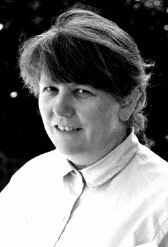 From 1975-81 she was a Fellow of King's College, Cambridge, and from 1981-5 was Fellow and Director of Studies in Mathematics at Newnham College. From 1976-1985 she was a University Lecturer in the Department of Pure Mathematics and Mathematical Statistics, University of Cambridge. She joined the faculty of the University of Washington in December 1985, as a Professor of Statistics. From 1988 to 2004, Dr. Thompson was also Professor of Biostatistics. Since Spring 2000, she has been an Adjunct Professor in Genetics (now Genome Sciences) at the University of Washington, and an Adjunct Professor of Statistics at North Carolina State University. At the University of Washington, Dr. Thompson was Chair of the Department of Statistics from 1989-94, and was Graduate Program Coordinator in Statistics, 1995-8, and 1999-2000. From 1990 to 2002 she was a member of the QERM Interdisciplinary Graduate Program faculty, and served as the alternate QERM Graduate Program Coordinator for 1998-9. From 1999-2002 she was also a member of the interdisciplinary faculty group in Computational Molecular Biology, but since 1999 has focussed primarily on the development of research and education in Statistical Genetics at the University of Washington . The Distinguished Lecture Series in Statistical Science series was established in 2000 and takes place annually. It consists of two lectures by a prominent statistical scientist. The first lecture is intended for a broad mathematical sciences audience. The series occasionally takes place at a member university and is tied to any current thematic program related to statistical science; in the absence of such a program the speaker is chosen independently of current activity at the Institute. A nominating committee of representatives from the member universities solicits nominations from the Canadian statistical community and makes a recommendation to the Fields Scientific Advisory Panel, which is responsible for the selection of speakers.